Double Layer Patented design upholsted with a beautiful black LeatherPlus fabric. 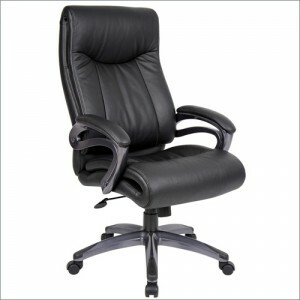 Chair features pillow top cushions and padded armrests for added comfort. More features include: a gun metal finish, upright locking position, and pneumatic gas lift seat height adjustment.